Published 2nd July 2015 by Bloomsbury. 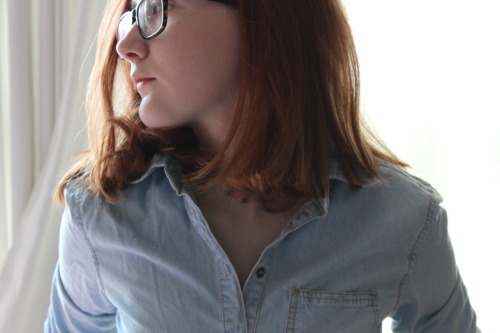 Goodreads Synopsis: Ollie and Moritz are best friends, but they can never meet. Ollie is allergic to electricity. Contact with it causes debilitating seizures. Moritz’s weak heart is kept pumping by an electronic pacemaker. If they ever did meet, Ollie would seize. But Moritz would die without his pacemaker. Both hermits from society, the boys develop a fierce bond through letters that become a lifeline during dark times—as Ollie loses his only friend, Liz, to the normalcy of high school and Moritz deals with a bully set on destroying him. A story of impossible friendship and hope under strange circumstances, this début is powerful, dark and humorous in equal measure. These extraordinary voices bring readers into the hearts and minds of two special boys who, like many teens, are just waiting for their moment to shine. My Review: This book came just as I had started exam revision – so after reading the blurb that had me really tempted to dive straight in, I had to wait a while to get around to it! It was the first book I picked back up after exams and the wait was definitely worth it. Because You’ll Never Meet Me was an extraordinary début. The concept of the story is very individual and unlike anything I’ve ever read before. It centres around one boy who cannot go near electricity – and another who depends on it for his heart to beat. The two can never meet, because one of them would die, so from opposite sides of the globe they exchange letters which will eventually lead to a shared discovery. It’s simultaneously a heart-warming-and-heart-breaking contemporary, though with an almost sci-fi-feeling to it. I guessed the ‘reveal’ quite a short way in so it didn’t come as a surprise to me, but it was interesting to read how both boys discovered the truths and developed over time. The two characters, Ollie and Moritz, are very contrasting; from their health conditions to their distinctive writing styles and voices. Ollie has epilepsy and lives in a cabin far away from the dangers of the city – whilst Moritz depends on his pacemaker for his life and lives in Germany. I warmed to Ollie first and foremost because of his narrative – though by the end I was really invested in both their stories. I loved reading their sometimes witty, sometimes tear-jerking responses to one another. Both sides to the whole story were brilliantly crafted and flowed well alongside each other. Parts were a bit predictable – but there were a lot of points I couldn’t have guessed! 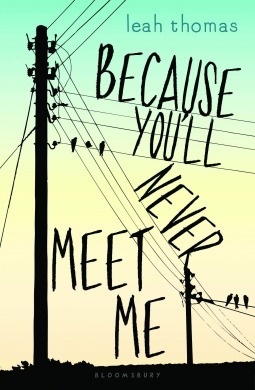 Overall, I really enjoyed Because You’ll Never Meet Me – it was a really awe-inspiring, unputdownable début novel. I’m excited to see what Leah Thomas will write in the future! The characters were truly unforgettable; their unique bond even more so. Definitely recommended to those who like contemporary books with a twist. I received a copy of Because You’ll Never Meet Me from the publisher, in exchange for a review. In no way at all did this affect my thoughts. This entry was posted in Uncategorized and tagged 2015 release, because you'll never meet me, bloomsubry, contemporary, debut novel, leah thomas, ukya on June 24, 2015 by keithbwalters. I have a copy of this one and I hope to read it soon. I’ve seen a lot of amazing reviews about it and it seems that you loved it too. I really did! I hope you love it as much as I did. glad you enjoyed it. I need to read it soon!